Protect Solutions are a leading company providing a range of quality alarm systems throughout Bedworth, Nuneaton & surrounding areas. 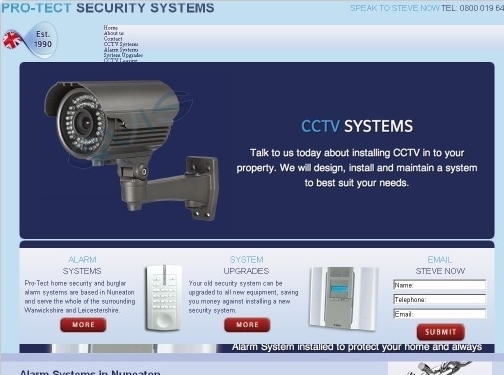 UK (Nuneaton) based company - established in 1990 - providing home alarm and CCTV systems. Website includes details of services and products provided, testimonials (under "Reviews"), full company contact details.